Caffeine is the #1 enemy of Cellulite & when applied religiously, it has been shown to reduce the appearance of cellulite. Dead Sea Salt will exfoliate your skin, removing dead skin, acne, whiteheads, blackheads, breakouts and other skin blemishes. Le gant de gommage dit « Kessa » est une sorte de gant de toilette rugueux très utilisé en Orient. Il est utilisé dans les hammams pour le gommage au savon noir. - Appliquer le savon noir sur une peau humide, laisser agir 3 minutes puis rincer à l’eau claire. Le gant kessa était autrefois confectionné en poil de chèvre. Contenu du lot: 1 gant de gommage kessa. Gant de gommage Kessa (Savon noir). The body scrub eliminates unpleasantskin tightness. Ground Coconut Shell. Dove Exfoliating Body Polish Body Scrub Pomegranate and Shea! VS VICTORIAS SECRET LOVE ADDICT EXFOLIATING SMOOTHING BODY SCRUB 200G. Exfoliate, soften and purify the skin with this gentle exfoliator sugar scrub from Victoria's Secret. The PraNaturals dead sea salt scrub has powerful dead sea minerals blended harmoniously with fruit oils. The salts combined with the oils gently remove dead skin cells and reveal a healthy skin glow. The unique, all-natural dead sea salt body scrub melts and exfoliates, leaving your skin beautiful and soft. Therapeutic minerals slough away dead skin cells, revealing radiant and glowing skin. • 100% organic • Blended with fruit oils • Paraben-free • Not tested on animals • Suitable for ALL skin types, especially dull/dry skin. AVON Vibrant Pink Grapefruit & Apricot body scrub. For smoothing dry patches such as elbows and knees. The perfect exfoliator to remove dead skin cells. Morocco is popular with its brilliant traditional beauty secrets that are related to its beauty products, like Argan Oil and Black Soap are widely used in Morocco while doing the hammam or hot bath tradition. 100% Virgin Coconut Oil Coffee Scrub. Unisex Fragrances. Very Easy. This INCLUDES if the plastic wrap or seal is broken on the item. NO EXCEPTIONS! This is a brand new in Box 100% genuine BENEFIT Bum Deal The slendi-scrub for body bummers 200g FREE POSTAGE 🙋🙋 THANK YOU FOR LOOKING..AND CHECK MY OTHER ITEMS .. Buy with confidence, you will not be disappointed.. I have never sold fakes... And never will!!! Kindly leave HAPPY 😆feedback once you have received your item...I will do the same...Thank you!!! CACAO COCONUT SHEA BUTTER SUGAR FACIAL SCRUBS FORMULA: This high caffeine formula specializes in targeting stretch marks & Spider veins while boosting your skins anti-oxidants. 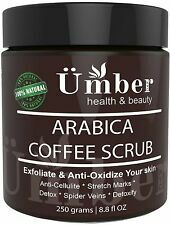 The caffeine in a coffee scrub may also help in reducing the appearance of varicose veins. Energize Your Skin With Mr. Bean Body Care! If you long for a skin that is imperfection-free, smooth, healthy-looking and glowing, get the Mr. Bean Body Care Coffee Scrub. 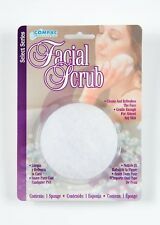 This Organic Exfoliating Scrub will remove all the dead cells of your skin and it will increase your blood circulation. Bielenda Charcoal salt body peeling with detoxifying andAnti- Cellulite effect efficiently peels off dead skin cells, removes roughness and thickening of the skin, smooths without irritating. Capacity: 250g. ZIAJA MARSHMALLOW SUGAR PEELING. It soothes. Aromatic care leaves your skin soft and. Sucrose, Paraffinum Liquidum (Mineral Oil), Cera Microcristallina (Microcrystalline. HOW TO USE ). Mary Kay Private Spa Collection - Embrace ROMANCE Sugar Scrub - 6.2 ounces New in original box. Has been kept in storage, from old stock. Does not have an expiration date. 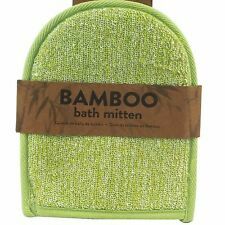 Has been discontinued, and is hard to find. Enhances the absorption of beauty and skincare products to make them more effective Indications Kessa exfoliating glove assist with better skin health by removing the dead skin layer, unclogging pores and assisting with generally better skin health. Exfoliating Body Scrub with Hydrating Coconut Milk and Detoxifying Dead Sea Salt, Moisturizing Face Scrub and Mask, Exfoliating Foot Scrub, Soothing Eczema Treatment by Pure Body Naturals, 12 Ounce. About the product. Relaxes the mind and promotes a restful state. Apply a handful of scrub em and leave over the skin then rub and rinse! Follow with Soap and Glory The Daily Smooth Body Butter for silky soft skin. Box is damaged a little , everything else is perfectly fine !Dove Limited Edition Nourishing Beauty Gift Set w/ Dove Exfoliating Body Polish. Condition is New. Himalayan Salt Body Scrub will help you relax & wash away tension. Himalayan Salt provides a perfect mineral-rich buffer to remove the dull, dead skin cells, bringing new life to your skin. FLAKE AWAY™ is a superhero-strength, skin-sationally smoothing body scrub with shea butter, sweet almond oil, apricot seed powder, sea salt and sugar. Scented with our ORIGINAL PINK™ fragrance. Apply a handful of FLAKE AWAY™ onto damp skin and massage in circular motions until most of the grains are gone. CACAO COFFEE SCRUB 200G. FRANK BODY. The roasted and ground coffee beans work to boost blood circulation. It takes bath and body care to the next level by helping to massage. Leave your skin feeling silky soft with a little sparkle by using this body prep glitter scrub from bod. get rid of that dry skin babes and go get that flawless finish! Apply to damp or dry skin and work the scrub into your bod in circular motions, until it lathers up. With this stimulating cream from TianDe, you’ll be delighted by the look of your thighs and condition of your skin. This product has a marked warming effect – its effect on the body is like a thermoactive micro-massage that’s simply a must for “problem” thighs and buttocks. The sponge that loves water, dries natually. Compressed Body sponges expanding to 1cm thick when wet.